Telecom top management knows that their products are really bundles and the future lies with data and data services. Stabilizing churn, customer acquisition and retention are all key concerns in this fast-moving industry. Bluestar Technology Solutions has the industry’s most advanced telecom e-commerce solution, including leading-edge product bundling, which when combined with our e-commerce solutions, allows telecoms to monetize any customer touch point. 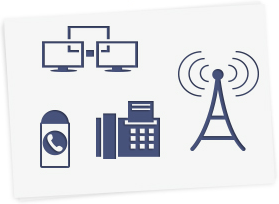 Our experience in telecom e-commerce, and adjacent fields including media, entertainment and technology allow us to offer a level of expertise that is unrivaled. Modernize your commerce infrastructure and gain access to dynamic bundling, pricing, subscriptions, offer management and improved merchandising. Streamline plans, equipment packages and content offerings for a vastly improved consumer experience, higher average order values and reduced acquisition costs.